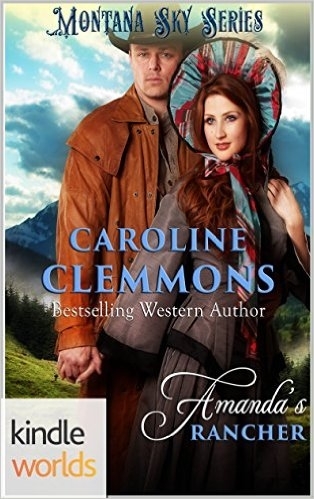 Please help me welcome today’s guest, Caroline Clemmons, author of THE RANCHER AND THE SHEPHERDESS. She’s written books for Kindle Worlds, something I would love to do again soon. Maybe she’ll inspire me. 😉 So happy to have you, Caroline! Thanks to Alicia for hosting me today. You probably realize authors love, love, love to talk about their books. I’m no exception. ☺THE RANCHER AND THE SHEPHERDESS is linked to my earlier book AMANDA’S RANCHER. Both are part of Debra Holland’s Montana Sky Kindle World. What this means is that—except for my characters—the other characters and the locale are from Debra’s Montana Sky series. Since I love that series, writing in Debra’s world was an honor for me. In keeping with Debra’s series, these are sweet romances in which the bedroom door is closed. In this book, Gormalith (pronounced Gormley) McGowan is an Irish immigrant who’s lived in America two years since marrying the man her father chose. Now she’s escaping a desperate situation after the accidental death of her brutish husband. Her late husband’s mother and bullying brother believe she should remain in New York and marry the brother. If not, they vow to make Gormlaith pay by accusing her of killing him. After two years with her drunkard, gambling, and wife-beating husband, she has no intention of remaining in that family. She escapes by immediately leaving for Montana to become a mail-order bride. Unfortunately for Gormlaith, while she’s on her way to Montana, the man who wrote for a bride dies. She arrives in Sweetwater Springs with no money, no place to live, and no groom. What a situation. The Sweetwater Spring’s sheriff comes to her assistance and convinces bachelor rancher Garrett McDonald to marry Gormlaith. Once Garrett sees the beautiful woman and hears her lilting brogue, he’s convinced. In AMANDA’S RANCHER, Garrett was foreman on the Kincaid ranch. Now he’s bought his own place from a large family moving to California. Luckily for him, they left some of their furniture in the six-bedroom log home. He’d planned to write for a mail-order bride in the spring from the same agency Preston Kincaid used so he takes little convincing to wed now. Confession time: I made a terrible mistake with the names. Both have GM as initials. That’s something I usually strive to avoid and hope no one is confused. My beta readers have given excellent feedback and I hope other readers will feel the same way. Gormlaith was beside herself with worry. Though she was certain the stove was a wonder, she hadn’t learned to regulate the beast. After she set the food on the table she wanted to break out in tears. She’d so wanted to impress her husband. “I do. I guess any Irishwoman knows how to cook potatoes.” He picked up his fork and dug into his food—except the biscuits. Throughout breakfast, she kept glancing at him but he didn’t speak. She picked at the meal on her plate. After he’d eaten his fill and had a second cup of coffee, he pushed away from the table. He donned his coat, clamped his hat on his head. She picked up a biscuit and threw it him. The missile hit him on the thigh. She threw another at him but he sped out the door, his rumbling laughter drifting her way. Ammunition indeed. She’d show him. She’d learn to deal with this beast of a stove and cook the best food he’d ever eaten. Caroline and her husband live in the heart of Texas cowboy country with their menagerie of rescued pets. When she’s not indulging her passion for writing, Caroline enjoys time with family, reading, travel, antiquing, genealogy, and getting together with friends. Find her on her blog, website, Facebook, Twitter, Goodreads, Google+, and Pinterest. 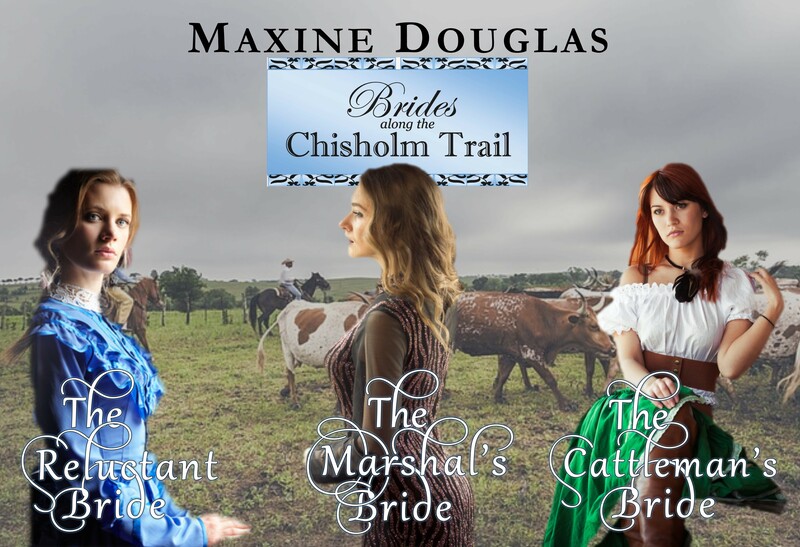 Subscribe to her newsletter here to receive a FREE novella of HAPPY IS THE BRIDE.